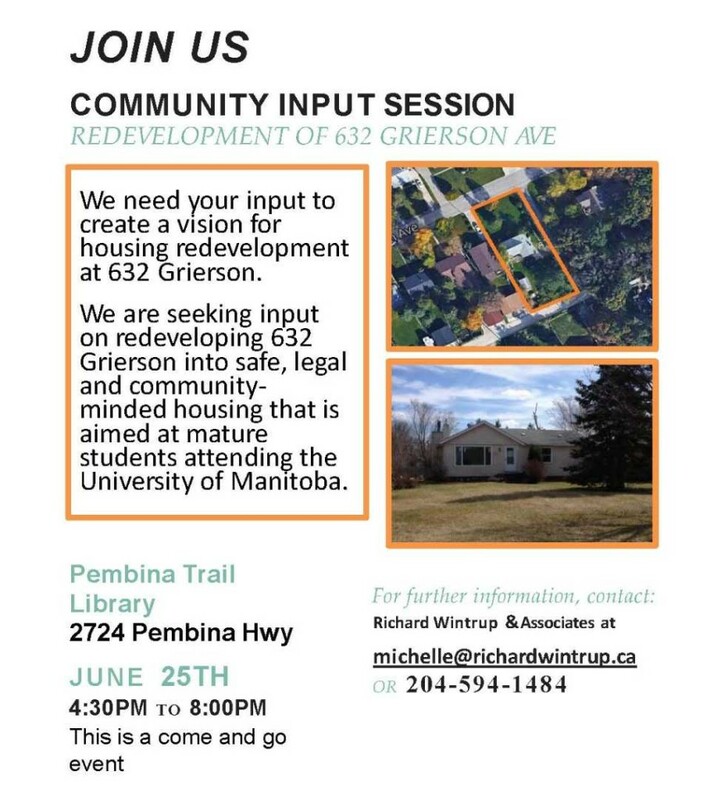 On Thursday, June 25, 2015, please join me at Pembina Trail Library to offer YOUR INPUT on an innovative concept that is being proposed for a home on Grierson Avenue, located south of the University of Manitoba. In my ongoing efforts to work with the community to address neglected properties and unsafe living conditions for students, I am continuing to research a broad variety of concepts and ideas. The concept being presented at this open house represents one idea that should be considered, and I am interested in hearing your thoughts on this proposal to convert a single family home to a multi-family home. It’s important to note that the concept being presented is just that – a PROPOSED CONCEPT. Nothing has been confirmed one way or another. I have requested that the homeowner host this open house to gather feedback from the community. 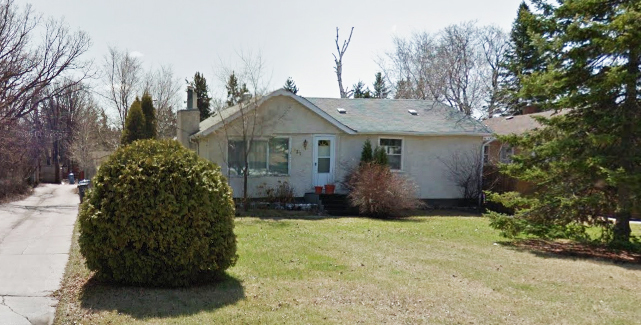 BACKGROUND: A single family home was recently purchased at 632 Grierson Avenue, and the new homeowner understands the issues our community is experiencing relative to being situated beside a suburban university. The homeowner is looking at an innovative approach which would convert the single family home to a safe multi-family home, and wants to reach out to the community to gather input. This approach to home conversion is a unique concept that is currently not being used elsewhere in the community. The homeowner has engaged the services of Richard Wintrup and Associates to help with community engagement and the home design process. Some of you may know Michelle Richards from Richard Wintrup and Associates. Michelle, a former City of Winnipeg employee, led the international award-winning “Plan Winnipeg” process. More recently, Michelle was employed by the University of Manitoba and help lay the foundation for the redevelopment of the former Southwood Golf Course lands. Michelle is a highly respected urban planner, and is aware of the challenges our community is facing. The community open house on June 25 starts at 4:30, and I will be in attendance between 6:00 p.m and 8:00 pm. 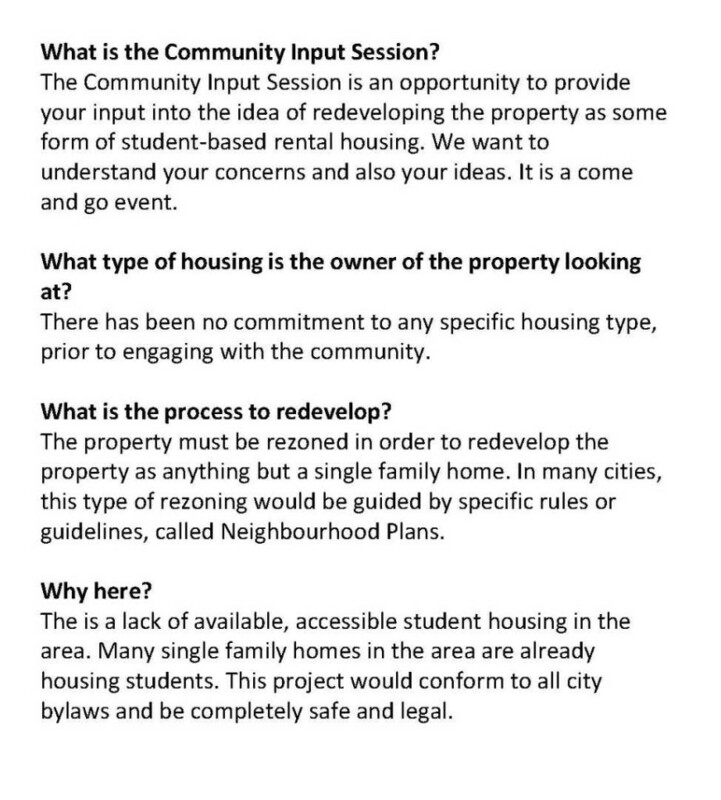 I encourage you to attend this event to see if this concept is something we may want to consider in addressing neglected properties and unsafe student housing in South Winnipeg. If you are unable to attend, please visit my website as I will be posting a summary of the feedback which is collected at the open house.